Neat, hospitable, friendly. Very supportive. Staff upped my booking upon arrival. Loved how close it is to the city center. Not only were they so friendly upon check in - we ordered delivery and then went to the pool. When the food arrived fast we were still in the pool / they delivered it to the pool AND added the bill to our tab!!!! Then they brought up an extra bed for the little guy that decided he wanted his own bed. The kids loved the pool and hot tub (they said it was the BEST hotel ever!) I have to say it was a pleasant surprise and we will for sure go back ! Parking easy , staff truly went out of their way to help you. Super! Good location. Cooking facilities, large refrigerator. Nice pool. WIFI very good. Streams good. The kitchen was really clean and complete. The staff were really kindly and supportive. we used to choose the vision hotel cause it was like our real home, it's very accessible for everything, and the staff is very nice. 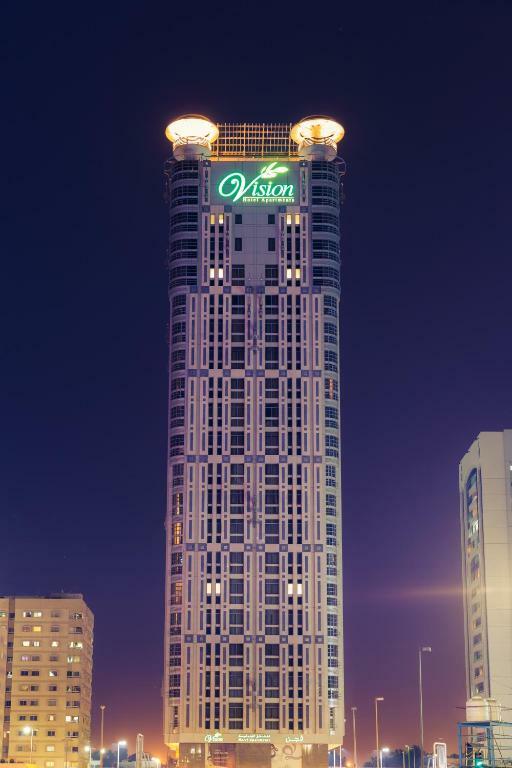 Less than a 10 minute walk from Abu Dhabi Shopping Mall, Vision Hotel offers luxurious apartments with a kitchenette. 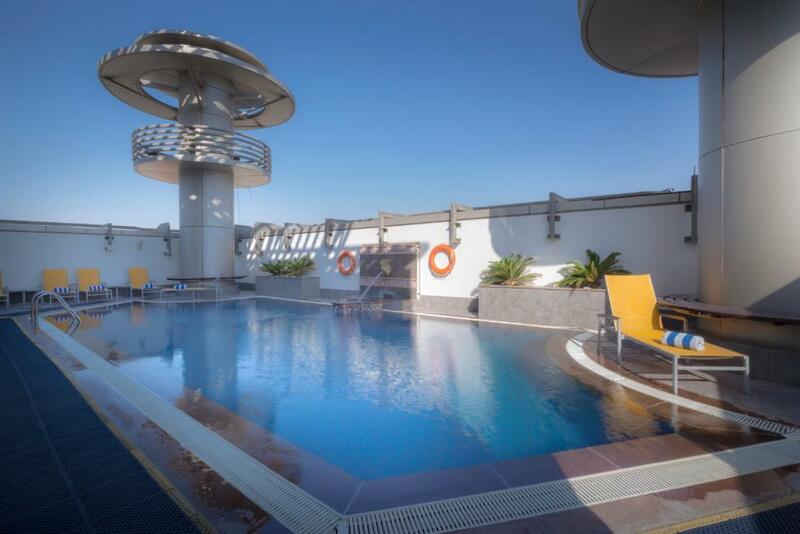 The hotel features a rooftop pool with panoramic views of the city skyline. The air-conditioned apartments at Vision Hotel Apartments Deluxe feature a modern and stylish interior. All apartments have a flat-screen TV with satellite channels, sitting and dining areas, and a marble bathroom. 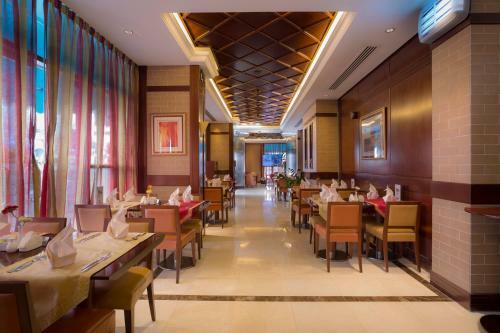 Vision Hotel’s restaurant offers gourmet dishes, from traditional specialties to exotic Asian fusion cuisine. 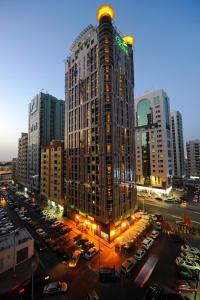 Guests can keep fit with the latest weight and cardio equipment at Vision Hotel Apartments Deluxe’s fitness center. The hotel also features a steam room, a sauna, and an outdoor hot tub. Abu Dhabi’s seafront boulevard, the Corniche, is just a 7 minute walk from Vision Hotel, and Port Zayed is a 10 minute drive away. 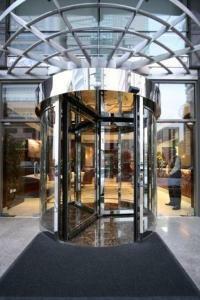 There is 24-hour valet parking available. When would you like to stay at Vision Hotel Apartments Deluxe? This studio features a kitchen. 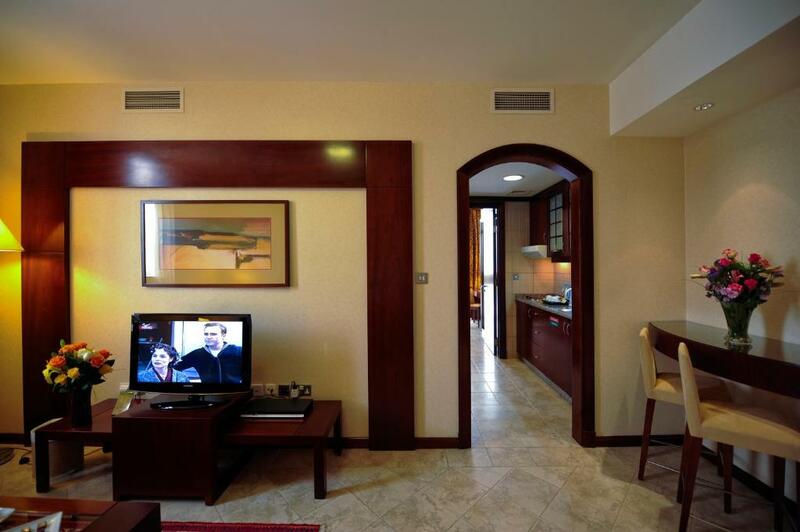 Spacious suite with a separate living room and a kitchen. 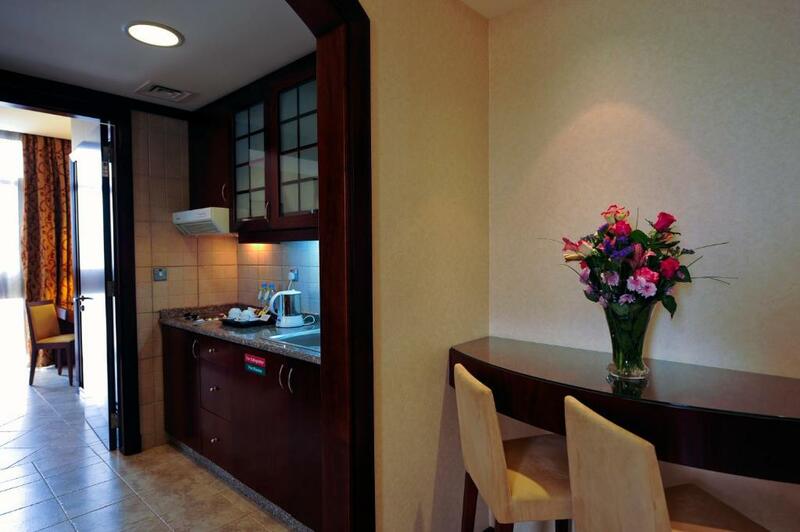 Large luxurious room with a separate living room, dining area, and kitchen. House Rules Vision Hotel Apartments Deluxe takes special requests – add in the next step! Vision Hotel Apartments Deluxe accepts these cards and reserves the right to temporarily hold an amount prior to arrival. 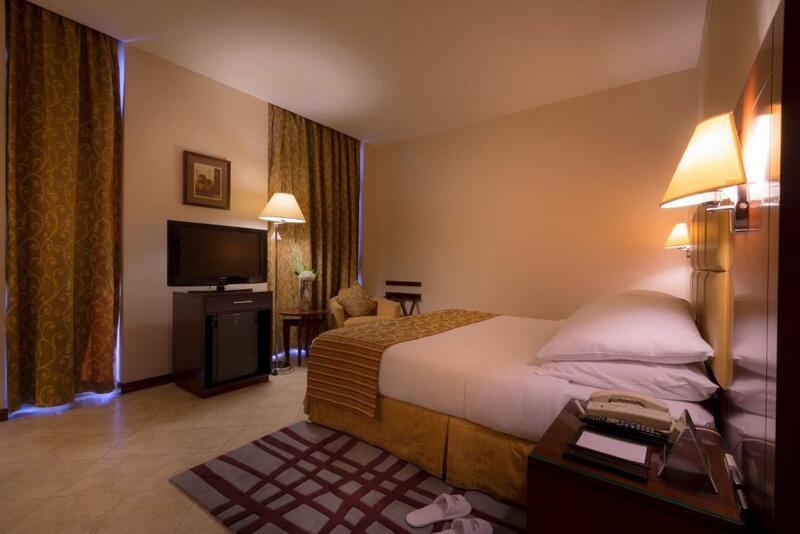 Excellent large room with top of the line furniture linen cutlery lighting arrangements super clean polite n pleasant staff . At the reception they took me an extra amount and did not mention the receipt. It could have cost less. The staff were very helpful. They also remembered us from our last stay. Their location on Google Maps is wrong and I needed 30 minutes to find the entrance. The noise from other rooms especially when trying to sleep. With tiled floors every time some one dragged a chair you could hear it, children running around and people playing loud music! Currently there is a constraction next to the. There was building construction right next to the hotel.We were checked in late night so I did not know. 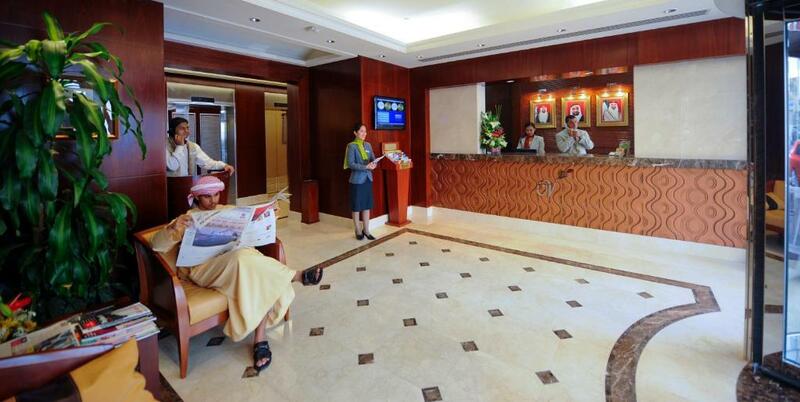 The front desk staff did not inform about this and gave us 2nd floor. And I was with 2years old son. Room had unpleasant smell and full of dust in window frame. The door man was very friendly and kind. He gave us extra blanket without asking him.